The cost of makeup, skincare products, haircare items and other beauty products can really add up. However, you don’t have to go broke to look beautiful. Follow these simple to tips to save money on beauty products. Shopping online is your best bet to save money on cosmetics and other beauty products. Comparison shop and use retailers such as drugstore.com and strawberrynet.com. Gasp! As horrible as it may sound, it’s really not that bad. I don’t mean that you have to give up your favorite lipstick or body scrub. 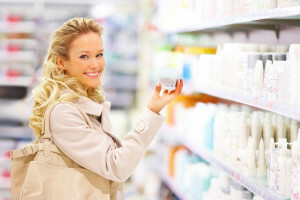 But the generic version of many staple products will suffice, such as soap, body wash, body lotion and even eye cream. Your body lotion can double as a sunscreen. Your tinted moisturizer can be your anti-aging cream. Products like baby lotion and astringent are great because they have multiple uses. Mineral makeup is another fine choice because a little goes a long way. If you haven’t heard about BeautyFix, you should definitely check it out. By signing up with BeautyFix for $50 every quarter, you will receive 7-10 full size (or deluxe sample size) beauty products. You save a significant amount of money because the total value of the products is over $400. For example, this is what’s inside the first Beauty Fix. M LAB Anti-Aging Treatment Cream – Deluxe Sample Size .5 oz. I am part of the beauty panel that selects the products (after testing them) that go into each BeautyFix kit. So I can tell from personal experience that these products are top notch. One of them retails at $105, so you are getting your money’s worth with nine products. After signing up, you can be involved in the BeautyFix community and get some fabulous perks – like gift cards, special prices, and a chance at a free BeautyFix too. Many facial scrubs, cleansers, makeup removers and other products can be made from ingredients in your own kitchen. Here are a few fabulous homemade beauty products.